We only sell dog shock collars from the top 5 manufacturers: Tritronics, SportDog, Dogtra, Innotek, and DT Systems. If you are new to dog shock collars, please read the following Electronic Dog Training Collar Buyers' Guide. Since 1968, Tri-Tronics has been devoted to providing the safest, most reliable shock collar on the market. Tritronics has been built on a solid foundation of service. Tri-Tronics philosophy has remained steadfast: develop quality dog shock collars and satisfy customers' needs through service. Tritronics dog shock collars have proudly fulfilled that promise for over three decades. As a result, their employees are celebrating a fourth decade of living up to the company's motto - "Making it easier for dogs to learn." - and in so doing, maintaining their leadership role in the field of dog shock collars. 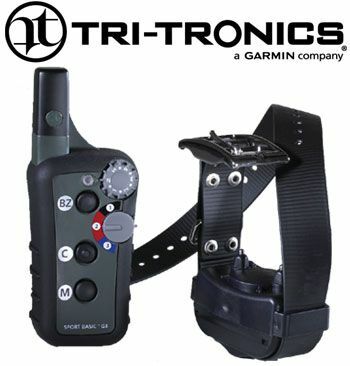 Click here for our Tri-Tronics Shock Collar - Comparison Chart. SportDog Shock Collars are designed to be rugged and easy to use. They include waterproof collar/receivers, rechargeable batteries and the shock collar in this price range that is guaranteed by a lifetime warranty. Superior technology gives you features like a full mile-and-a-half range (ProHunter Remote Trainer - SD-2400 model only) and the convenient Add-A-Dog capability, which lets you train two dogs with one system. 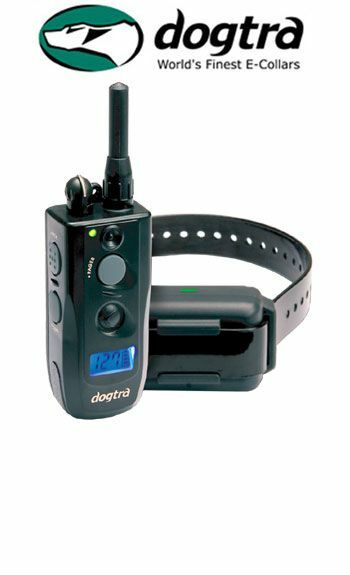 SportDog also offers a new deluxe beeper, which can be added to either shock collar for an instant beeper/trainer combination at a great price because you're supposed to be hunting for game, not a second mortgage. Click here for our SportDog Shock Collar - Comparison Chart. Dogtra is a world leader in dog shock collars. Focusing on durability and superior electronics, Dogtra electronic dog shock collars are designed for all breeds and all sizes. Dogtra manufactures a full line of dog shock collars, no-bark collars, remote bird launchers and pet containment system. 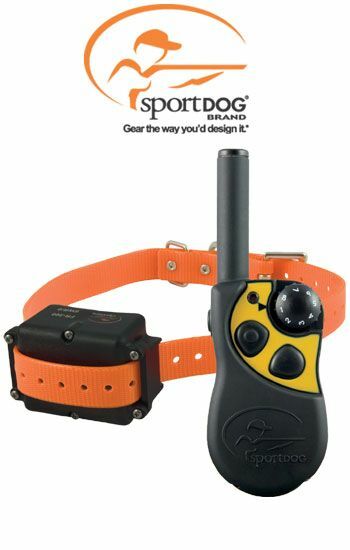 Dogtra shock collars offer the following standard features; nick and constant stimulation modes, Pocket-sized transmitters that feature user-friendly controls, Digital electronics and long-lasting rechargeable Ni-MH batteries, Waterproof transmitters (2000/1200 series), Non-exposed collar antennas. Dogtra's patented rheostat intensity control provides an infinite amount of levels of stimulation that can be changed at your transmitter. A rheostat is like a volume control on a radio. The more you advance the control the more the intensity increases on the shock collar. Click here for our Dogtra Shock Collar - Comparison Chart. DT Systems, Inc. is the second oldest manufacturer of shock collar systems in the world. DT Systems has been building the world's finest, most advanced and affordable dog shock collars since 1983. DT Systems is fully committed to manufacturing dog shock collars of the highest quality. DT Systems dog shock collars are extremely durable, reliable and always simple to understand and operate. Since 1983, DT Systems has been making a complete line of dog shock collars for the gundog enthusiast. 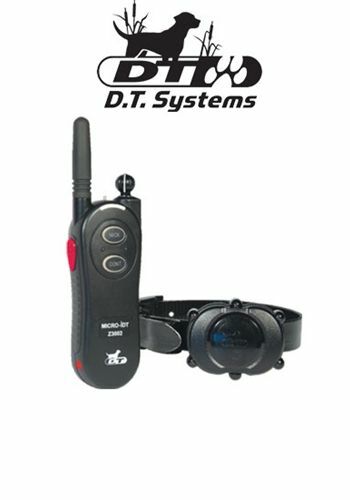 Whether you're an avid pointing dog, retriever, or flushing dog owner, DT Systems has a shock collar to meet your needs. Click here for our DT Systems Shock Collar - Comparison Chart. Innotek makes a complete line of dog shock collars for the hunter, the field trialer, and the hunt test enthusiast. You want dogs that learn faster and hunt smarter. Innotek shock collar systems helps you get there. Pointing dogs, retrievers, flushing dogs, hounds... no matter what type of training you're doing, we're here to help. The Command Series II Professional shock collar systems offer the most advanced transmitter design Innotek has ever made. The rugged, waterproof control unit puts all of the important features right at the handler's fingertips. These shock collar systems offer 15 separate levels of stimulation, running from ultra-low for basic yard work to high for difficult/stubborn dogs. Additionally, Innotek offers the Command Series 16000 model that supports up to 4 additional accessories, such as Auto Backers, Bird Launchers, and Beeper Collars, all conveniently controlled from the transmitter. Click here for our Innotek Shock Collar - Comparison Chart. More than 30 years ago, electronic dog collars made their way into the dog-training scene. However, because the first generation of dog shock collars were only capable of delivering one level of stimulation to the dog, they where appropriately nicknamed shock collars. The shock collar required the trainer to select the level of correction by inserting an intensity plug into the collar (before putting the collar on the dog for training, once the shock collar was on the dog they could not change the intensity level). This plug would then cause the shock collar to emit the same level of stimulation for all corrections issued during the session, regardless of how small or large the infraction, hence the nickname shock collar. Recognizing the limitations of the first generation of dog shock collars, manufacturers worked to refine their design. It was only until the release of the second generation of dog shock collars that allowed the trainer to vary the level of intensity from the hand-held transmitter. The trainer could now select from one of three levels of intensity for a particular intensity plug: high, medium and low. This design still had its shortcomings. The trainer still only had 3 levels of stimulation to choose from and the lowest level of stimulation was typically inappropriate for simple corrections. 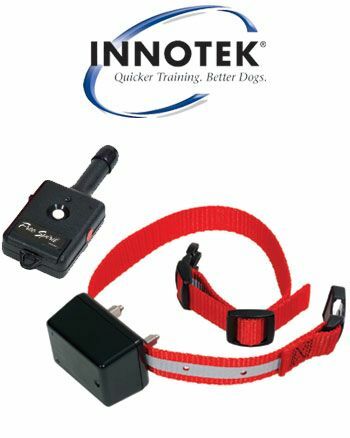 While the second generation of dog shock collars was a great advancement in shock collar systems, this technology was replaced in the last decade by collars that gave the trainer the ability to select multiple levels of intensity from the transmitter. This single advancement combined with customer education has done more for the widespread acceptance of the shock collar than any other advancement in the collars history. Manufacturers quickly recognized that a great design alone was not going to give their product the acceptance needed to support their newfound industry; it was only through education that new customers would understand how to use these training devices to advance their dog in a proper manner. The most significant form of education came when Tri-Tronics released a book written by Jim and Phyllis Dobbs and Alice Woodward,Tri-Tronics Training Retrievers. This book focused on incorporating dog shock collars in all phases of training retrievers and walked the reader through a series of detailed steps, bringing a dog from A to Z. As a result of the technological advancements and the educational support provided by manufacturers, the days of the shock collar are gone, giving way to the remote training collars. Today, like cell phones, its becoming more difficult to find someone who trains without an electronic dog collar.